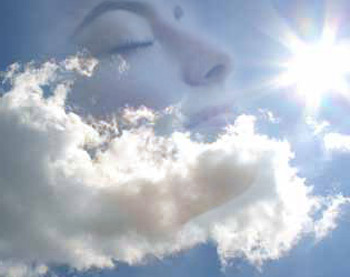 The power of the breath lies in the intake of energy, oxygen. If the body tissues are relaxed and we are open mentally, we are able to fill the entire system, and to set a new path. Yoga distinguishes five different forms of energy, so-called Pranas. One is the inhalation of energy (Prana), which is connected to obtaining, getting, filling. The second is the exhalation (Apana), which is connected to release, expulsion, renunciation. The third is vyana that is tissue capacity for the entire body which provides for the first two (Prana and Apana) the depth or width. Vyana is the form of energy that is connected to the intervals between inhalation and exhalation. The fourth is the Samana that is the energy of digestion which is often in a very depressed, suppressed state. The fifth is the Udana which provides the elevation of the consciousness and the inward orienting state. 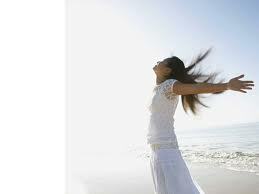 Using the methods of breaths we can get hysterical, upset state of mind, ecstatic joy or can build up panic attacks. The options of applications cover a very wide range: as a support in cancer therapy, as a preparation for surgery, or against mood disorders. The vital process broadens out with the help of the breathing – we avail ourselves of more full capacity so. As the elephant lives longer than the panting dog or cat the difference in their breathing can be observed. We reckon the turtle, which spends 20 minutes under water with one breath, among animals living the longest. The slower, deeper breathing is in a direct proportion with the life expectancy, so it is not miracle that the gasping of the white mouse makes possible only a 2-years long life. The most of the yoga breathings– though not exclusively – broadens, deepens the breathing and make the functions of the whole body more efficient. The hysterical or the panic attacks are typical examples where thoracic respiration being attached with superficiality jerks the patient as a whirlpool into the sickness. The importance of breathing will give some idea when it comes to athletic peak performance. In some running, swimming numbers the sportsman slows down during the race course because of the acidification phenomenon that fatigues the athlete. This condition occurs when the cells in the can not utilize perfectly sugars and fats. The same phenomenon occurs as the wet wood when lit creates smoke, the cells also generate by-products instead of the end products that are carbon dioxide and water. The byproduct in the cells is the lactate, which increased slows the movement of muscles down and cause painful awakening the next day. If there is sufficient oxygen in the cell than complete combustion would happen without acidification and slowdown. In this yogic breathings will also help: initially a complete yoga breath and after a more regular practice the bellows breathing, bhastrika. The singers has unimaginable significance of proper diaphragmatic breathing which builts up that air column that will fill the entire space as a penetrating sound. This represents a major strength of the column of air and the sound makes whole and complete. In the absence of diaphragmatic breathing may be the voice of the singer nice but not worth for a serious career. Proper breathing can reduc or completely cure more diseases or symptoms. Asthma can be corrected by a high percentage of good, relaxed breathing. The symptoms of eczema are much relieved by eliminating the shallow breathing. High blood pressure can be affected with proper breathing to a positive direction. Fatigue and exhaustion may manifest as a sign of sigh: breathing deeply and in addition to this all of a sudden exhaling quickly.